What a weekend. 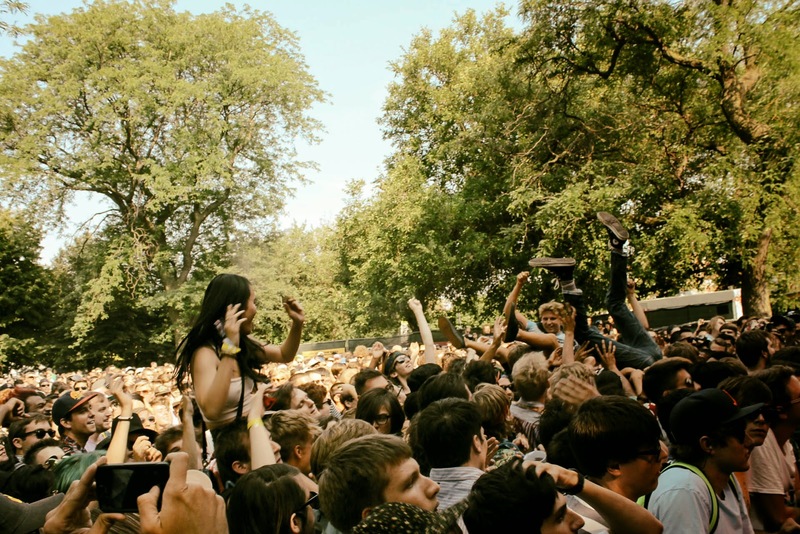 Pitchfork Music Festival never disappoints, and 2014's edition of PMF was no different. We'll begin with day one, and I'll start with the not-so-good before getting to the greatness. We'll begin with what turned out to be my biggest letdown of the weekend, Beck's sound issues. I had very high expectations for Beck's set, one that ended up being stacked with some of my favorite songs over the singer/songwriter's illustrious career, one that has spanned almost my entire life. However, sound issues seemed to plague the almost-20-song list he had stacked up, starting right away with "Devil's Haircut". Even Beck seemed frustrated, and although it did get better, I couldn't help but to come away unimpressed. Maybe it was my own fault, building up such high expectations in anticipation for an artist that molded my musical tastes, or maybe it was the fault of some of the fantastic undercard performers I caught earlier in the day (more on them, later). One positive I did take away from the show, was a remembrance of just how great Beck is. 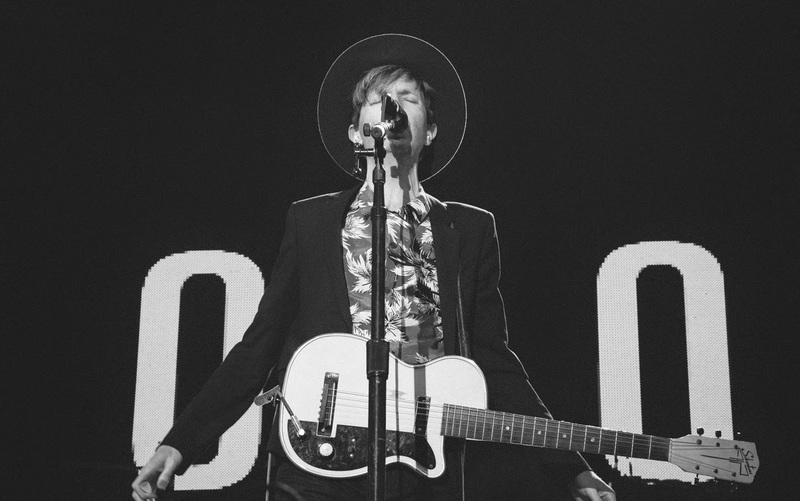 Ever the showman, donning that second-most famous hat in music, Beck rattled through some amazing songs, and almost surprised me at just how many of them I knew and loved at some point in my life. I was instantly taken back to a more troublesome and confusing part of my life when "Lost Cause" was played, and then in an instant, I got all alternative again as he transitioned into his breakout song, "Loser". He closed the set with an encore of "Sexx Laws", fan-favorite "Debra", and finished with "Where It's At" - which spun into an interesting medley (and a brief homage to Chicago and Chicago's-own R. Kelly) before returning to form again. I wanted so hard to be excited as I left the festival grounds on the opening night, but all I could leave saying was an astounding, "meh..."
An important thing to remember during festivals that feature aging musicians looking to capitalize on recent acknowledgement to their greatness, is never to ask "Why is this happening?" and to sit there and enjoy it. 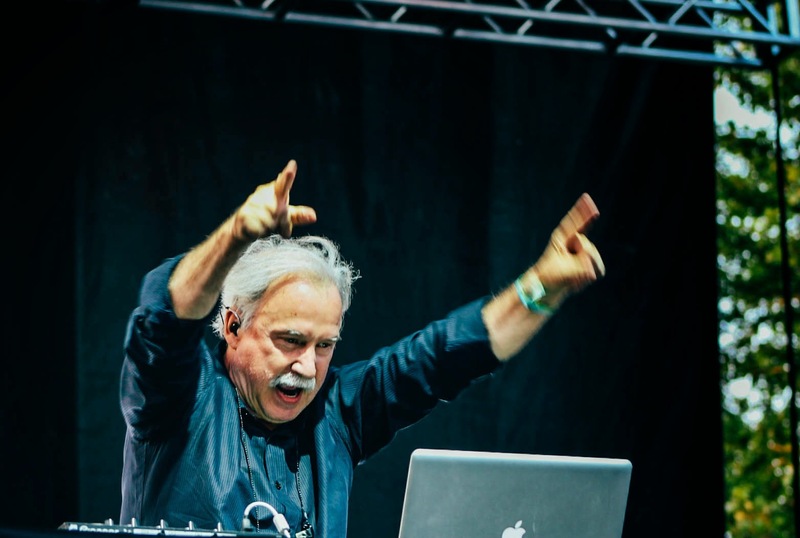 I will more than likely never get another chance to enjoy a Giorgio Moroder-curated set of disco and dance music. The 70-something-year-old Italian "Father of Disco" played his hour-long set with such passion and joy that you could basically see it beaming from his smile beneath his mustache, glistening from his fingers and hands as he waved them back and forth, begging the crowd to go along with him on a musical journey that stretched back to a time long before many of the patrons had been born. Laughter could be heard throughout the crowd as Giovanni Moroder (who insisted on us calling him Giorgio) played that night. But I never once got the vibe that those watching were laughing at him, rather they were simply laughing with him, enjoying themselves, and living in the spectacle of watching the legend perform. The triple header of acts that I caught in the early parts of the day on Friday are truly what makes Pitchfork Music Festival so enjoyable. Hundred Waters were moved to the Red Stage, and pushed back in a time slot, after Death Grips pulled a Death Grips and broke up a couple weeks prior to the festival. 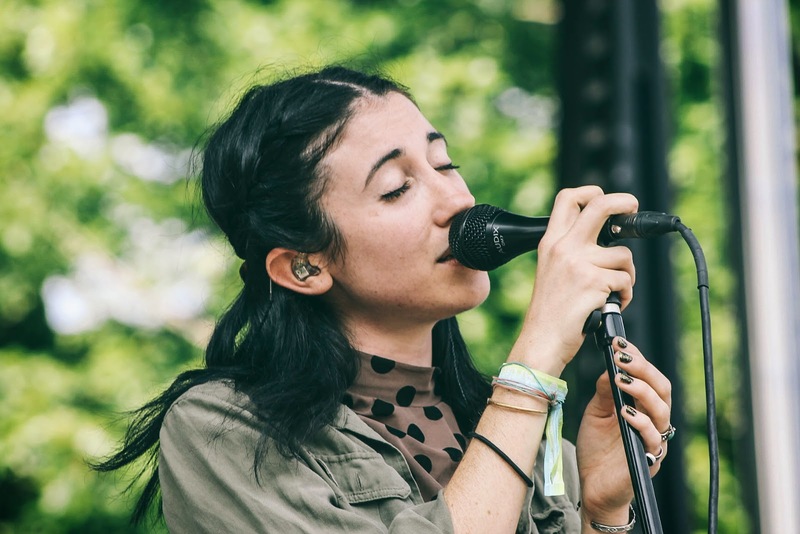 And although a lot of the crowd could be heard/seen expressing their disappointment in the Death Grips fallout, Hundred Waters made the most of the situation. The group will tour later this year with Interpol, and the festival was a great introduction to a band I had only heard a couple of tracks prior to seeing them take the Red Stage on Friday, I was sincerely impressed at the sound and dynamic they offered. Lead singer Nicole Miglis stated the fact that their Friday set was their first festival appearance, and tracks like "Show Me Love", "Cavity", and "Down From the Rafters" really gave a fantastic glimpse of what's to come from the group, and showcased Miglis' entrancingly beautiful voice, reminding listeners of last year's Friday headliner, Björk. Switching gears completely, Factory Floor was next on the day's task list, and ended up being one of my top surprises of the festival that weekend. I knew their set would be heavy, but I had no idea it would be that heavy. The crowd ate it up, as if the group was feeding them their next round of amphetamines, and as I continuously checked the crowd behind me, the nodding heads turned into a mass of bodies jumping up and down, turning into a swarm of accelerated heart rates. For the first time in my life, I saw body passing at an electronic show. I'm positive it's happened before, but I've never seen so many people get that involved in a set that took place mid-afternoon. 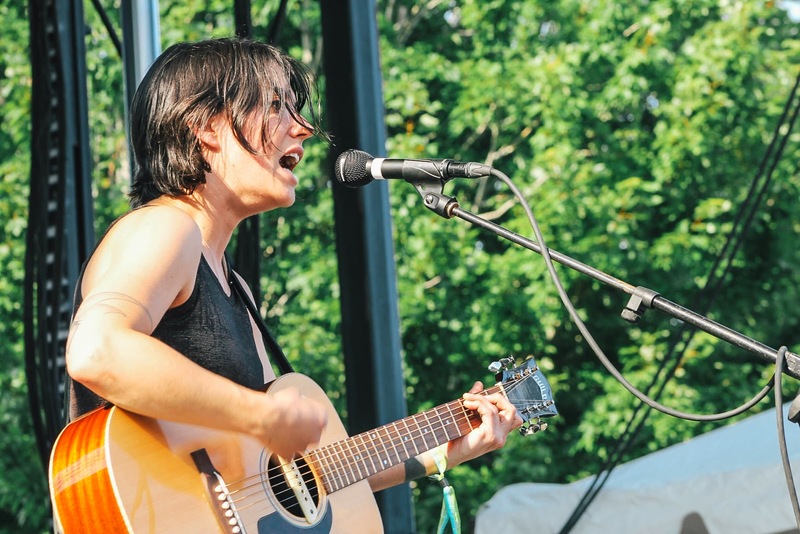 Sharon Van Etten is one of the most underrated folk singers of recent memory. Her beautiful voice is matched by her grace and talent on stage, and she is always so charming and kind as she stares out into a sea of thousands of people. She smiles, waves, and mouths "Hello" to possibly familiar faces in the front row. Her onstage banter and charisma was perfect, as she says "Hello, from over here now" after playing her first song on guitar, and switching to a keyboard/beat machine on the left side of the stage. Playing songs new and old throughout, but it was the new tracks that really glistened and showcased her dynamic, something that it's hard for me to believe wasn't planned. Opening with "Afraid of Nothing" and closing with "Every Time The Sun Comes Up" was a carefully crafted move. Both tracks off of her latest album, Are We There, served as perfect bookends to one of Friday's more flawless sets.